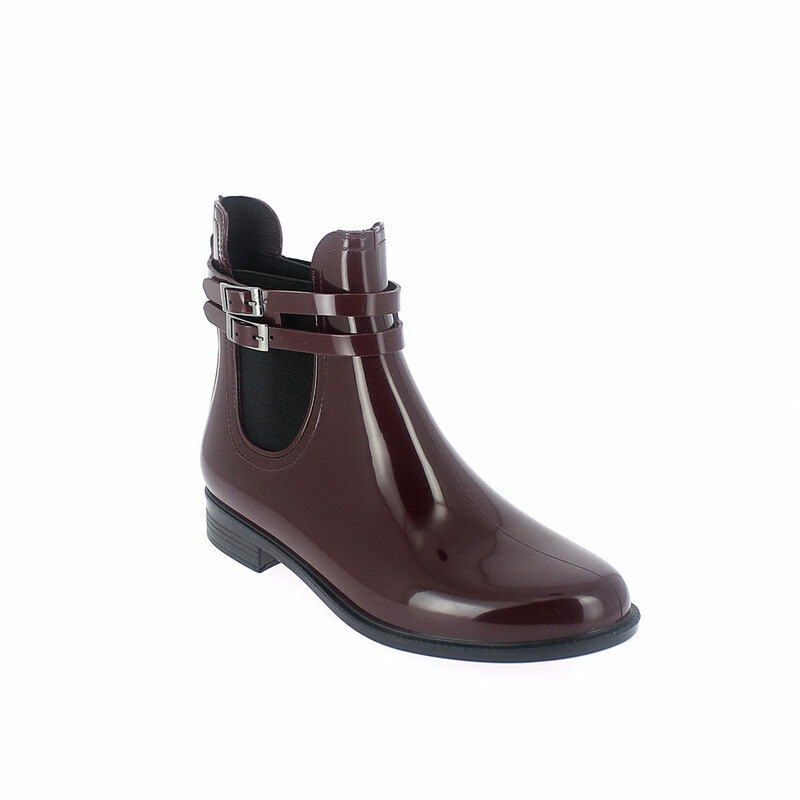 In this section you can see all the footwear of Fall / Winter Collection by Maresca. 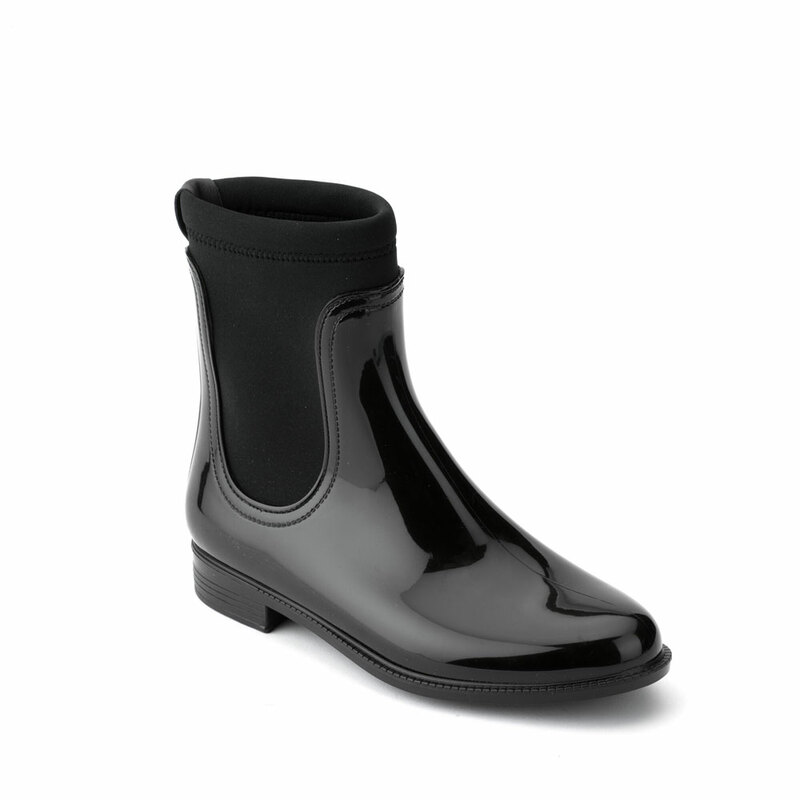 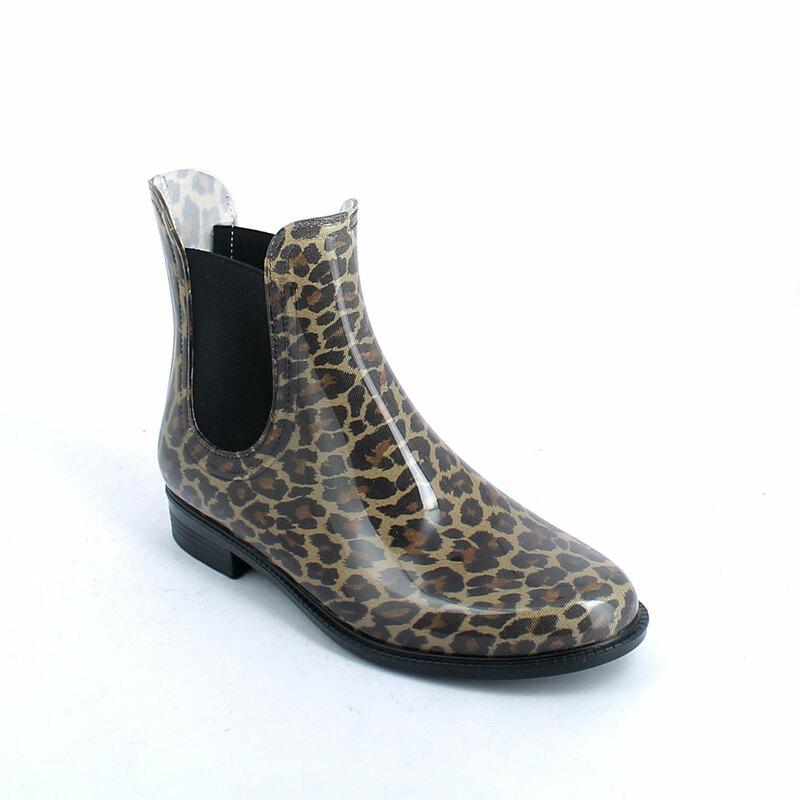 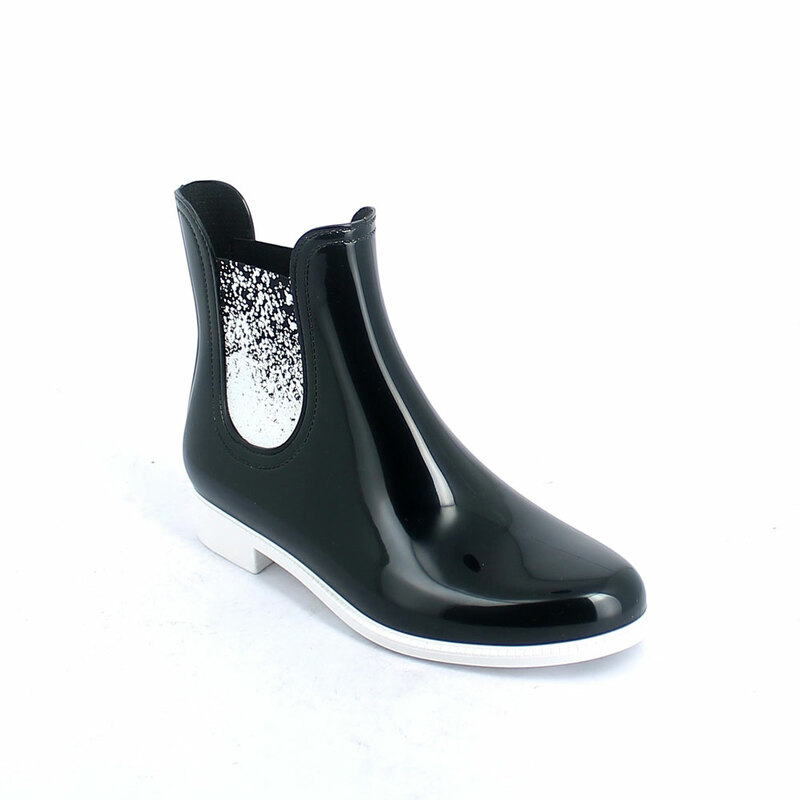 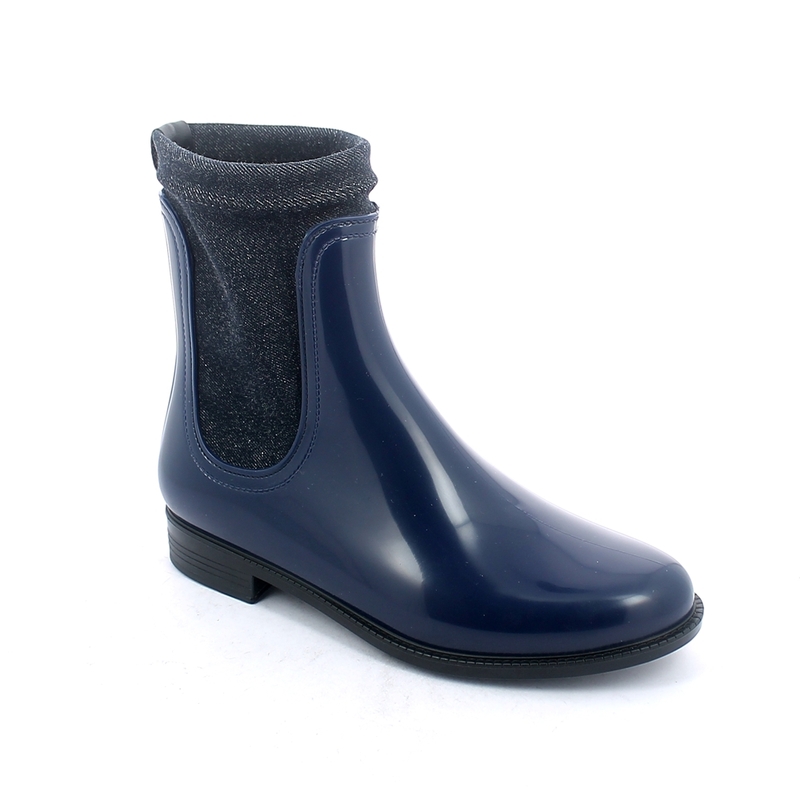 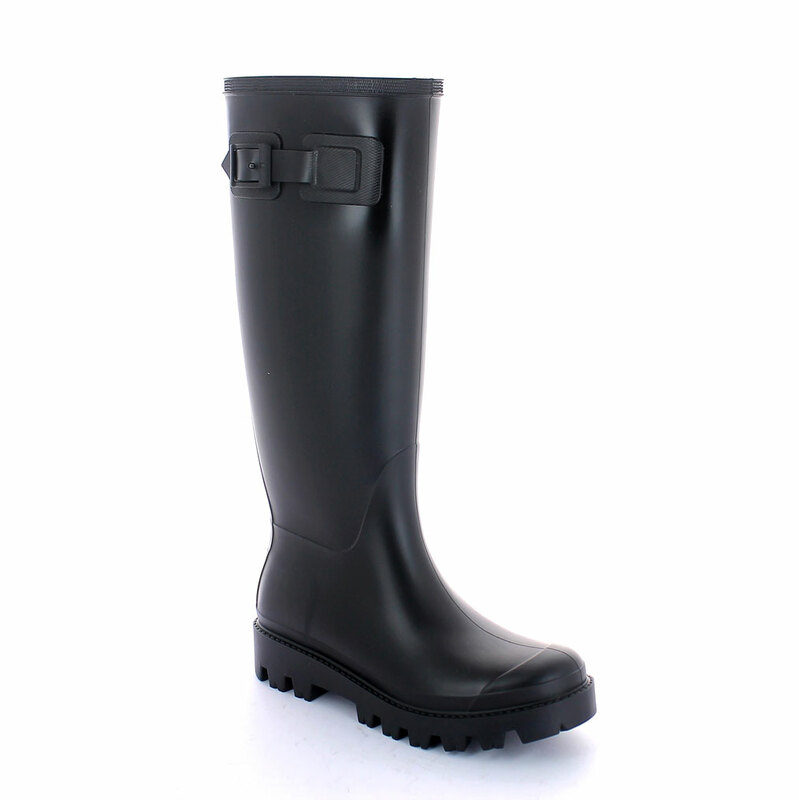 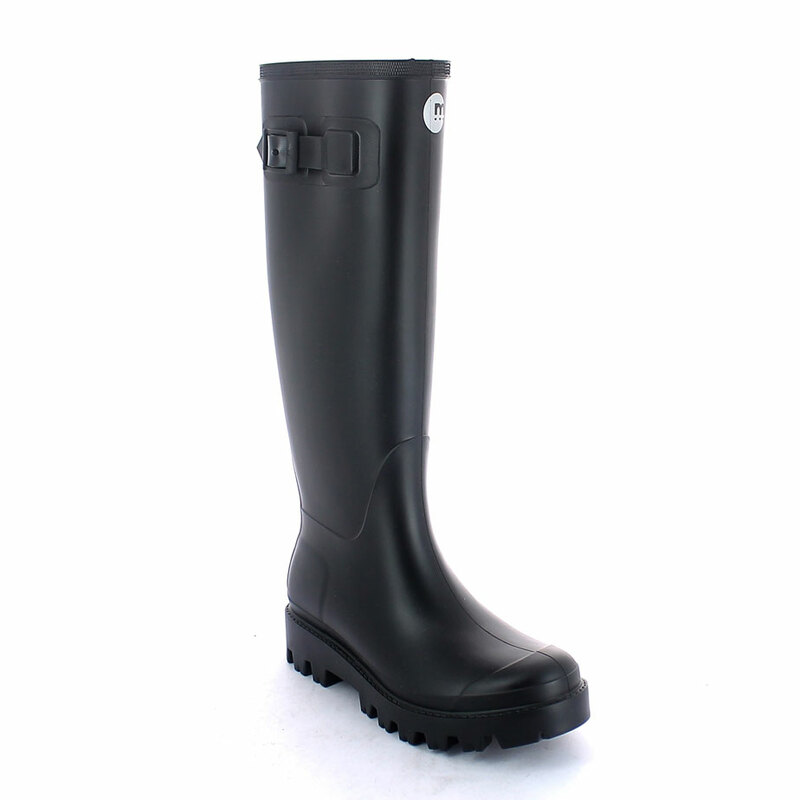 In addition to all new models of boots, galoshes and children rainboots in the new colours, patterns and accessories, you can also find the best sellers products as well as all-year-round models. 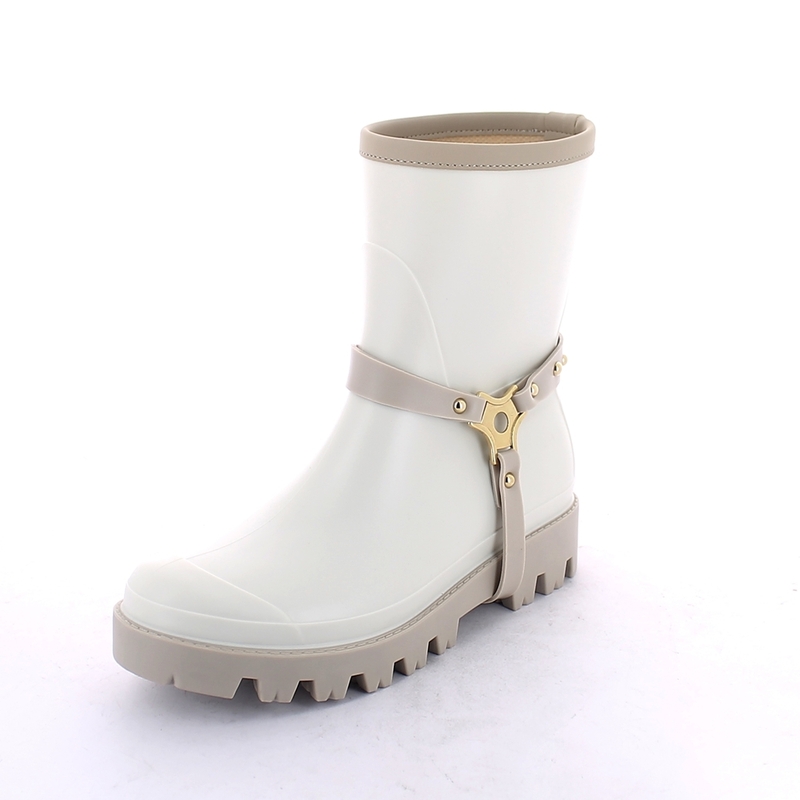 For any information on product availability, eventual order as well assortments do not hesitate to contact us. 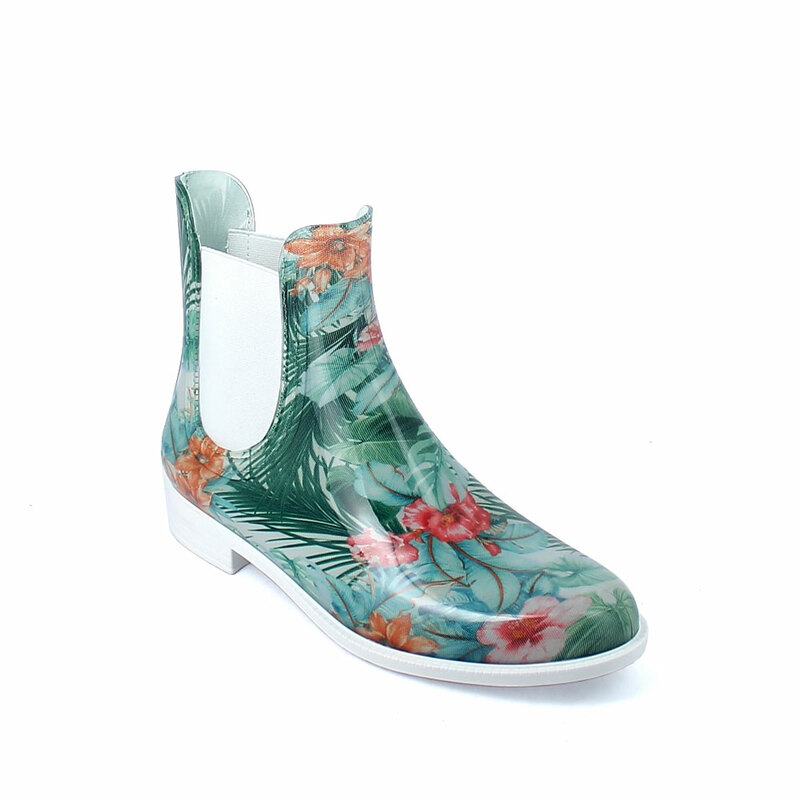 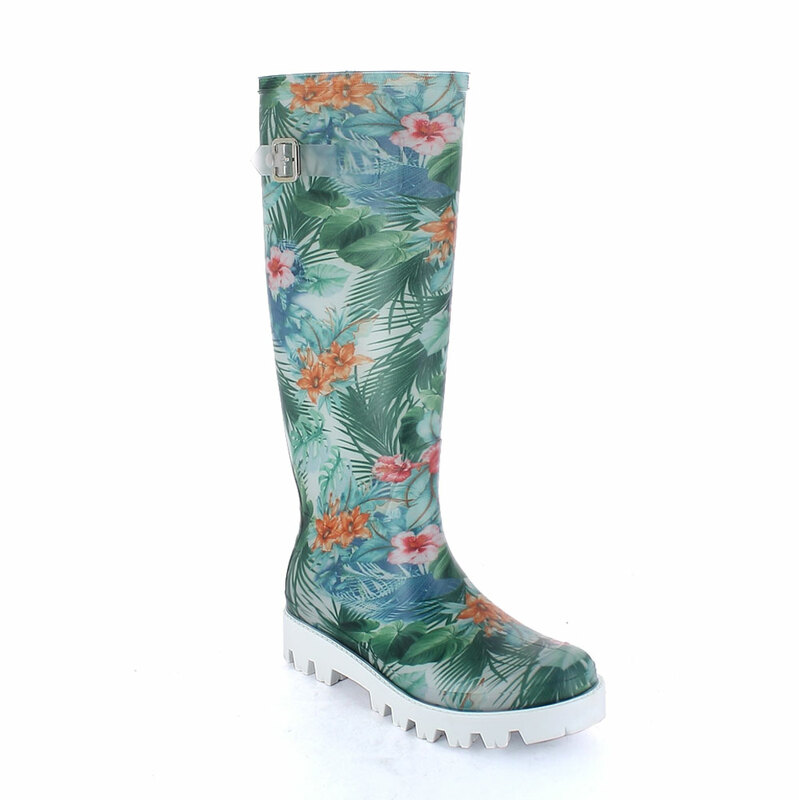 Chelsea boot in bright transparent pvc with elastic band on ankle sides and cut &Sewn lining with pattern "Coffee colour Maculato"
Chelsea boot in bright transparent pvc with elastic band on ankle sides and cut &sewn inner sock with pattern "Green Tropical Flowers"